Dakota Shepherd is such a newb: newly Awakened, rookie werewolf, supernatural investigator in training. 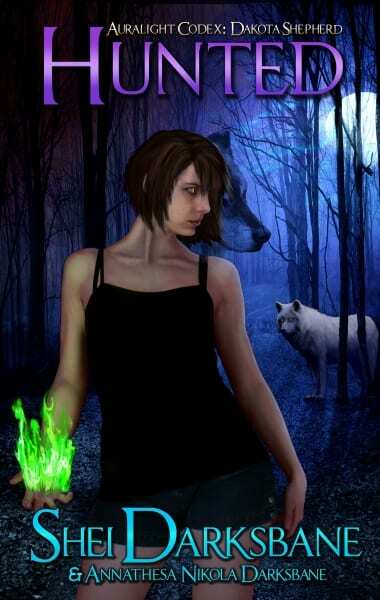 Her command of the wolf inside is shaky at best, and her grasp of the unstable magic she wields is worse. She sure has a lot to learn about her new life in the supernatural world. So why would anyone want to stalk her? A trespasser in pack territory. Blood on the mountain. An urban legend, spoken only in whispers. Can Dakota rise to the challenge of a deadly foe? There’s no shame in being new: everyone starts out that way. But in a world of powerful supernatural threats, being a newb could get a girl killed. And if Dakota isn’t up to the job of protecting herself, how can she hope to protect her loved ones from the ancient supernatural killer that hunts them? So if you haven’t picked up Awakened yet, get it now! You can buy it on Amazon for Kindle, or as a paperback! If you’re a voracious reader, you’d probably enjoy Kindle Unlimited, Amazon’s subscription service that lets you read as many books as you please for only $9.99/month. You can get a free trial for 30 days! You can also get a free trial of Amazon Prime which comes with Kindle Owner’s Lending Library, a service that allows you to borrow one book a month from the same pool as Kindle Unlimited, so you could read Awakened this way as well!